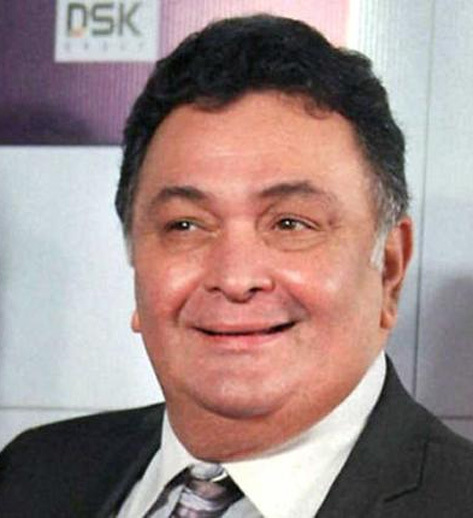 Mumbai: Veteran actor Rishi Kapoor minces no words when it comes to expressing his views on sensitive matters — be it blind religious beliefs as well as the meat and beef bans. That, he says, does not make him “anti-Hindu”. In May, the Maharashtra government banned beef. The 63-year-old actor then landed in a soup after tweeting that he is a “beef eating Hindu”. “I am angry. Why do you equate food with religion?? I am a beef eating Hindu. Does that mean I am less God fearing than a non eater? Think! !,” he tweeted back then. I am a Hindu by birth and by conviction and right from childhood my religion taught me to be liberal, inclusive and tolerant. As a child I learnt to quietly bow before every place of worship – a temple, a Peepul Tree, a Mazar, a Gurudwara, a Church a mosque or before any other icon of a faith. My illiterate Dadi narrated me the story of how Rama – the heir apparent of mighty Ayodhya king Dashratha – sacrificed his kingdom and went away to exile at a mere hint from a step mother. I was explained by my father the philosophical importance of worshipping the ‘Nirakaar’ (A formless God) and my mother and Dadi told me about the beauty of Sakaar (33 Crore deities and the freedom to worship any one you liked). I felt His presence in Sankirtan and Qawwali equally. Satyam, Shivam and Sundram sounded as attractive as Haq, Jamal and Jalal. In 1992 when BJP brought down Babri Masjid in the name of Ram resulting into riots and killings, I developed an antipathy for pronouncing Ram’s name(though he is my ideal), and now with their hatred for other minorities they are forcing me to ask myself the hard question – was my education wrong ? Or these pretenders are no Hindus. Please help me sort this out. I know many other like minded Hindus. My Hinduism did not teach me to hate. ‘Dharayte-itti-Dharma’ (It teaches you to tolerate, therefore it is Dharma). To me Hinduism is too liberal a religion that would feel threatened by any other faith and it reconfirms my faith in ‘Vasudhai Kutumakkam (The whole world is a family). Please comment. Your letter Sir, brought me to tears. You touched my heart. No Sir, your education was right.